The Carrara is an oval-shaped acacia cheese board with a removable marble top. Three full-tang stainless steel cheese tools with acacia handles are housed in a pull-put drawer in the base of the board, making for convenient and compact storage. 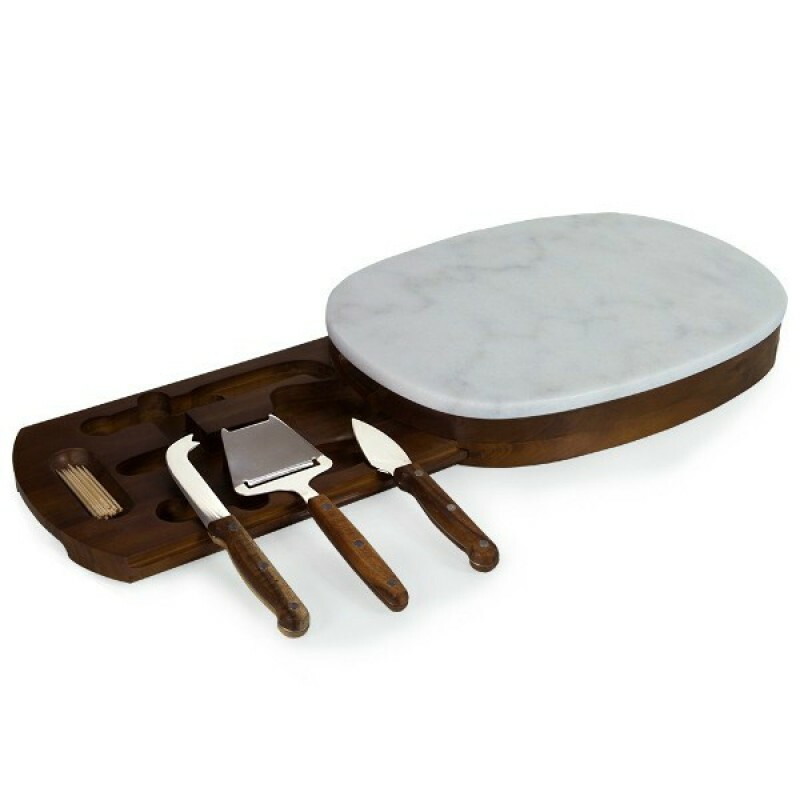 This marble-topped cheese board features three full-tang stainless steel cheese tools with acacia handles. The tools are housed in a drawer in the base of the board, making for a refined look and convenient storage.